The European Chess Union elections will take place in Khanty Mansiysk during the Olympiad 2010. Besides the ticket members of the candidates (Danailov, Yazici, and Weizsäcker), three more board members will be elected individually. and Jan Nepomniachtchi (Grandmaster and European Champion 2010). Mr. Theodoros Tsorbatzoglou is nominated for the position by the chess federations of Greece and Cyprus according to articles 33 (a) and (b) ,34 (b) 35 (a) and (b). Theodoros Tsorbatzoglou graduated from Thessaloniki University in Business Administration work force scheduling. He specialized in Internet marketing and Marketing Sports Management. Besides working in construction areas, he is owner of the real estate services E-Properties, manager director of Event Consulting, e-marketing consultant of G-Hotels group, administrative director of one of the biggest Sports and Culural clubs in Thessaloniki, and a business consultant for European Funding Programs. 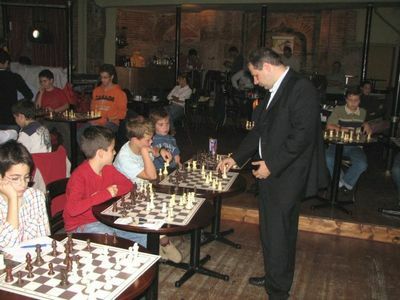 Theodoros Tsorbatzoglou is a FIDE master, chess trainer, and FIDE instructor. 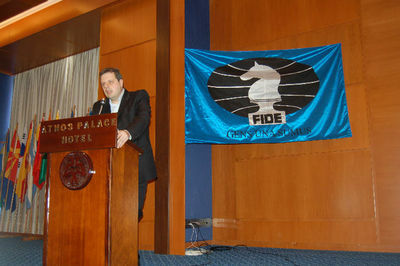 He was a member of the Greek Chess National Teams (1987 – 1993), Member of FIDE Events Committee (2006 – 2010), Marketing Director European Chess Union (2008 – 2010). He is the organizer of more than 20 FIDE chess open tournaments, 3 FIDE Congresses (2001 -2003 – 2009), World Youth Champ (2003), World School Championships (2005 – 2007 – 2009), European Club Cup (2002 and 2008), and European Youth Championships (1999 and 2001). 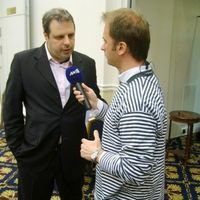 Expect an interview with Theodoros Tsorbatzoglou conducted during a recent meeting with the Chessdom team.